On 14 September 2018, the 8th annual International Conference “Kyiv Arbitration Days: Think Big!” took place in Kyiv, Ukraine. 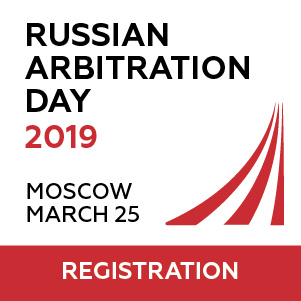 Each year since the 2011, the event is held under the auspices of the Ukrainian Bar Association, and supported by the CIS Arbitration Forum as the information partner. As per established tradition, distinguished arbitration practitioners with various backgrounds convened at the 2018 conference to discuss the most vibrant topics affecting the industry globally. 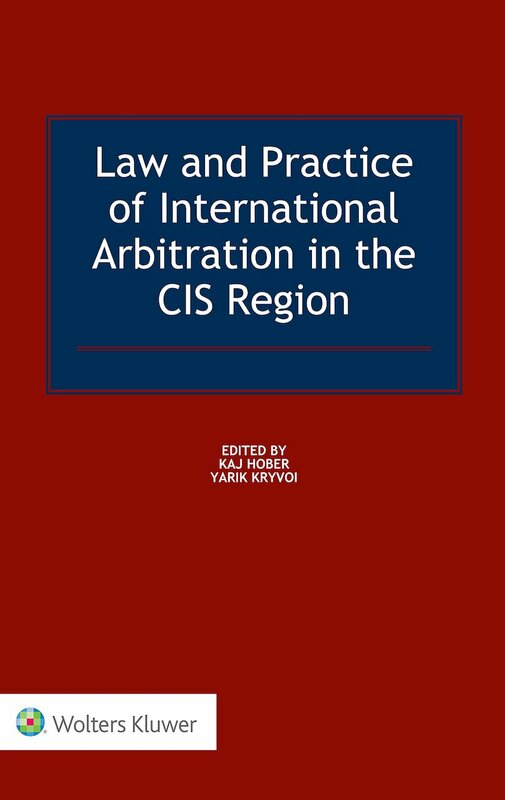 The subjects covered evolving trends in arbitration and their impact on the process, the way in which technology may shape the legal profession, and the amendments proposed to the ICSID’s Rules and Regulations. This year, format of the event has changed. 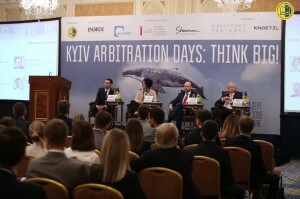 Kyiv Arbitration Days were complemented by Kyiv Arbitration Night, where the participants rejoined at dinner to exchange their impressions within an informal setting. Ms. Irina Nazarova, the Conference program coordinator and Managing Partner at ENGARDE Attorneys at Law, opened the event, observing that despite first years when Kyiv Arbitration Days took place were marked with the dictatorship regime, the event worked through to become the biggest in Eastern Europe. Next, Mr. Oleksiy Filatov, Deputy Head of the Presidential Administration of Ukraine and Judicial Reform Council Coordinator, gave special presentation on Reform of Ukrainian Arbitration Law. Mr. Filatov concentrated on the main goals chased, and the achievements that the judicial procedural reform has introduced therein. First of all, he highlighted the importance of a new procedural rule, according to which an arbitration agreement must be interpreted in favor of its validity. He also covered implementation of the much awaited extended arbitrability list that inter alia ended the long-lasting debate on arbitrability of corporate disputes, and the other novelties. He summed up his presentation with the conclusion that Ukraine is “now much closer to the best arbitration jurisdictions”. Besides, Mr. Filatov shared news regarding progress in Gazprom v Naftogaz case: on 13 September 2018, the Svea Court of Appeal unfroze the enforcement of the Transit Award order in favor of Naftogaz. First session: anything taken for granted? Mr. Michael Ostrove, Global Chair of the International Arbitration Group at DLA Piper in France, moderated first session of the conference. Speakers of the panel addressed matters elemental to arbitration proceedings, namely, document production, transparency and possible claims related to criminal conduct in a host state. Ms. Pelin Baysal, Partner at Gün + Partners in Turkey, discussed different approaches employed towards the use of document production as a legal instrument. She noted that this instrument might be the key to coming to a decision in an arbitral process. However, it could also overly complicate the process, making it costly and time consuming. Ms. Baysal outlined the different views that common law and civil law jurisdictions traditionally take on the issue. Ms. Baysal addressed the impact of the IBA Rules of Taking Evidence on document production procedure. She noted that no uniformity in approach has been reached yet. Next, Mr. Ivan Lishchyna, Deputy Minister of Justice of Ukraine, covered the “fast developing issue” of involvement of criminal claims in arbitration proceedings. He particularly focused on investment arbitration. Mr. Lishchyna covered various claims under BITs related to criminal conduct in a host state that might be advanced by both parties. The one often brought by investors, he noted, has been illegitimacy of criminal proceedings initiated as against an investor. Another big issue has been corruption, brought forward by both, a Claimant and a Defendant. However, proving the case might not be easy, he said, providing Niko Resources (Bangladesh) Limited v Bangladesh Petroleum ICSID case example: a fundamental question to ask was whether the criminal conduct went to the root of investment. Mr. Yaroslav Tekliuk, Director of Legal Department at NJSC Naftogaz of Ukraine, moderated the second session dedicated to the topics covering possible threat to effectiveness of arbitration proceedings. Mr. Stefan Riegel, Partner at Wolf Theiss (Austria) opened the second session with the discussion of parallel criminal proceedings brought in relation to arbitral proceedings, and the possible impediments that could accordingly arise in the latter. Criminal conduct alleged, he observed, might relate to both, arbitral proceedings itself, and the performance of an investor under either BIT or a contract. Mr. Riegel said that there has been no uniform answer on how to proceed during arbitration, and the implications have varied from one jurisdiction to another. “Effectiveness, of course, speaks in favor of continuing the arbitration even though there might be allegation of criminal conduct, and even though there might be parallel proceedings”. However, he noted, it has been crucial to evaluate implications that might arise at the enforcement stage. Further, Ms. Annet van Hooft, an Arbitrator, discussed how enforcement of ethical rules might hinder the effectiveness of arbitration. Ms. Van Hooft made a remark on a comprehensive number of guidelines constituting soft law, designated for all parties to arbitration. Ms. Van Hooft compared effect that various sets of rules have produced on regulation of parties conduct. In particular, the IBA Rules on Party Representatives generally contain ambiguous statements, whilst the LCIA rules provide more substantial directions. Ms. van Hooft concluded that ethical conduct regulation in its present state has produced only minimal damage to the effectiveness, if any. Mr. Florian Haugeneder, Partner at Knoetzl, Austria, proceeded with the discussion covering importance of adequate and timely asset tracing. As the first step, Mr. Haugeneder defined “actual identification of assets”, which might go beyond several jurisdictions. Mr. Haugeneder emphasized the importance of refraining from any illegal activity. As the second step, he named securing identified assets by applying for provisional measures. Actual seizure of assets has come as the final step. According to Mr. Haugeneder, the peculiarities of legislative framework of each State even within the EU, might have impact at every stage of the process. The best practice, he concluded, has always been to start asset tracing before commencement of any arbitration. Third session: The science or fiction of legal technology – time to adjust? 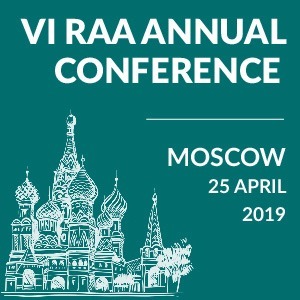 German Galushchenko, Managing partner at International Law Agency in Ukraine, moderated the third session that was devoted to the impact of technology on the legal profession, and in particular, the field of arbitration. 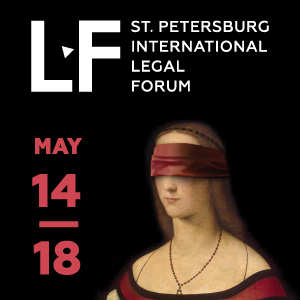 The first speaker of the panel, Mr. Sergey Alekhin, an Associate at Willkie Farr & Gallagher in France, shaped his discussion around novelties that smart contracts and blockchain technology have brought into the field of arbitration, as well as legal challenges they faced: conflict of laws, public policies and misrepresentation to name a few. Mr. Alekhin provided review of blockchain based dispute resolution technologies that have been introduced. In his opinion, in future, these technologies might aid solving challenges that arbitration has currently been facing. Mr. Olexander Martinenko, Senior partner at CMS Cameron McKenna Nabarro Olswang in Ukraine, opened his speech with a thesis that the role of a human as a lawyer would never be replaced by a computer. Mr. Martynenko elaborated on the 3 types of artificial intelligence (AI) and their respective interaction with the legal profession. The AI in the current state of development lacked self-consciousness. At the same time, according to Mr. Martynenko, creation of more advanced types has still remained questionable. Using case examples, Mr. Martynenko argued that a computer has not been able to quantify important factors that were crucial to the decision-making and involved certain degree of subjectivity at the same time. This would require qualities inherent only in humans. Ms. Eva Kalnina, Counsel at Lévy Kaufmann-Kohler in Switzerland, elaborated on the probability of replacement of human arbitrators with robots, and the problematic issues that might be involved as a consequence. First, she shared her analysis of the current state of development of computer programs that have served as legal tools. She provided an example of the sophisticated document production program that has been likely to replace the profession of a contract lawyer. Thus, the level of sophistication of a number of legal tools has already allowed significant facilitation to counsel in an arbitration process. According to Ms. Kalnina, in the near future, the technologies would also allow significant aid to the tribunals on both, substantial and procedural issues. Inter alia, “The role of tribunal secretary will soon become redundant”, added Ms. Kalnina. However, she noted, in the decision making process, there have been a number of issues, e.g. confidentiality and trust, that formed a barrier to the developments required for the total replacement of human arbitrators. The fourth, concluding session of the Conference moderated by Ms. Sabine Konrad, Partner at McDermott Will & Emery in German, addressed proposed amendments of ICSID’s Rules and Regulations. The discussion took interactive form of advocacy debate, wherein Ms. Marney Cheek, co-Chair of International Arbitration practice at Covington & Burling LLP, USA, personated a claimant representative; Mr. Philip Dunham, Partner at Dechert in France personated a State, and Ms. Sabine Conrad assumed the responsibility of an arbitrator. Ms. Marney Cheek opened her speech with remarks on procedure of adoption of ICSID Rules amendment. Then, she moved on to the issue of transparency: the proposed amendments introduce new stringent rules on scope of mandatory publication of arbitration materials at every stage of the process, designated to increase transparency. Mr. Philip Dunham as the State representative provided some criticism on the lack of consistency of proposed rules in several aspects, and the expected rise of political temperature. Ms. Sabine Konrad led the debate to the next topic – proposals intended to reduce the duration and costs of arbitration. Mr. Philip Dunham outlined the proposed amendments. He discussed introduction of general duty “to act in expeditious, cost-effective manner” upon all parties, and the new framework provided for disqualification of arbitrators procedure. Ms. Marney Cheek added that the significant advantage of the new rules on disqualification of arbitrators would be to discourage such challenges often initiated for tactic purposes. Another innovation discussed was the proposed introduction of Expedited Arbitration into the ICSID framework. Ms. Konrad argued that in State involved arbitrations, there were complicating factors, and the proposed timeframe might not be adequate for a State to respond to the claims. Next, debaters addressed the novelties introduced in the third-party funding and security for costs rules. With regard to third-party funding, the long debated disclosure in relation to it, including the very existence of a third-party funder, has now been proposed. “The definition of a funder that is being proposed” is “quite broad, and that’s good”, concluded Ms. Konrad. Ms. Cheek criticized the security for costs amendment for elimination of exceptional circumstances provision, which might open floodgate for according claims. Moving next, Ms. Cheek covered proposed provisions on amicus submissions, and participation of Non-disputing Treaty Party. She argued that those provisions requiring the amicus to identify any relationship with the parties, and to identify any financial interest present circa their submission, would add further transparency to the process. Speakers proceeded with a discussion of the proposed opportunity for Non-disputing Treaty Party to make a submission, adopted from the US Treaties. Finally, Sabine Konrad touched upon introduction of provisions regarding Regional Economic Integration Organization or REIO, which would allow the EU as a person to take part in additional facility proceeding. The event rounded off with closing words of Mr. Markiyan Kliuchkivsky on ever-evolving character of the world, the field of arbitration, and the Kyiv Arbitration Days event.